The legal notice was issued to FabIndia Overseas Private Limited on January 29 by law firm Kochhar & Company. After a series of legal notices to popular retail chain Fabindia, the Khadi and Village Industries Commission (KVIC), has fired a new salvo. This time it is demanding a compensation of Rs 525 crore. KVIC has categorically asked Fabindia to pay “monetary damages for the loss of profit earned by them by using the trademark ‘KHADI’ and the Khadi Mark, which is qualified at 25 percent of the average annual profits booked by them before the Income Tax Authorities in the preceding three years. “The compensation is basically for causing irreparable loss, harm and damage to the goodwill associated to the ‘KHADI’ trademark, besides causing heavy financial loss of wages to its artisan who work in the sector,” said sources in the industry. Additionally, the notice also points out that KVIC had notified Fabindia in July 2015, about the latter's alleged illegal usage of Khadi mark tag. The Government-backed entity had also alleged that Fabindia was selling products bearing an impugned KHADI mark that was similar to KVIC’s registered KHADI trademark. 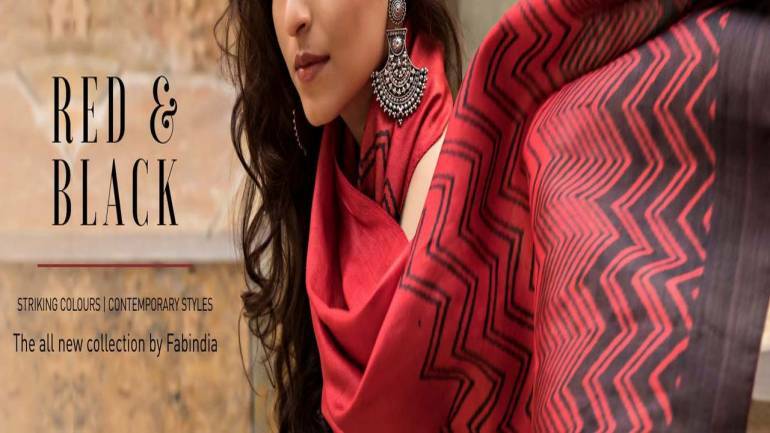 “On close scrutiny of garments sold by FabIndia it was found out that the labels stitched on the garments mentioned them as `FabIndia Cotton’ while the price tag, which were removable, had the word `Khadi’,” said a source from the industry. Under the Khadi Mark Regulations, 2013 notified by the Union Ministry of Micro, Small and Medium Enterprises only KVIC is authorized to grant Khadi Mark registration. The regulation says no textile shall be sold or otherwise traded by any person or certified Khadi institution as “Khadi” or “Khadi products” in any form or manner without it bearing a “Khadi Mark” tag or label issued by a Committee under the regulation. The regulation, among other things, also enforces certain obligations on every person or certified Khadi institution engaged in the business of sale of products as Khadi or Khadi products. The samples drawn by KVIC from FabIndia and sent for testing, said sources, "also proved that they were not Khadi products and Fabindia was selling factory-made cotton garments in the name of Khadi." Moneycontrol is in possession of those lab test reports from the Textile Laboratory and Research Centre, Mumbai, that says Fabindia has been using blends of flax with cotton, which doesn’t qualify as khadi. Another report by the Ahmedabad-based Khadi Gramodyog Prayog Samiti, an independent research institute, said since right twist was used in weft of the sample, it is not at all a khadi fabric. “In case, we or our client (KVIC) do not receive your written confirmation …our client will have no option but to institute appropriate legal proceedings to protect its rights and associated goodwill and reputation without any further notice…” read an excerpt from the notice. Moneycontrol reached out to Fabindia for their reaction. An official spokesperson from the brand said ,"We are in receipt of the notice from lawyers instructed by KVIC, and are surprised at its contents. We have made it clear to KVIC through extensive correspondence and in multiple meetings over the last two years that Fabindia is not in violation of any of the provisions of the KVIC Act or regulations framed thereunder. The claims made in the Notice are baseless. The Notice has been entrusted to our lawyers and any action taken in pursuance of the notice will be defended by us vigorously." In January the following year KVIC found out that FabIndia continued to use the Khadi mark tag on its products. Again on February 8, 2017, the KVIC served a legal notice to FabIndia asking them immediately to cease and desist from unauthorised use, sale, advertisement and promotion of the products bearing the Khadi mark and to pay the compensation for the losses caused to the KVIC. On Feb10, 2017, the FabIndia acknowledged receipt of that notice and requested a meeting with the KVIC officials in this connection.